This is the first blog post that I have written shortly after sampling the item, so it will be longer than my average posting. 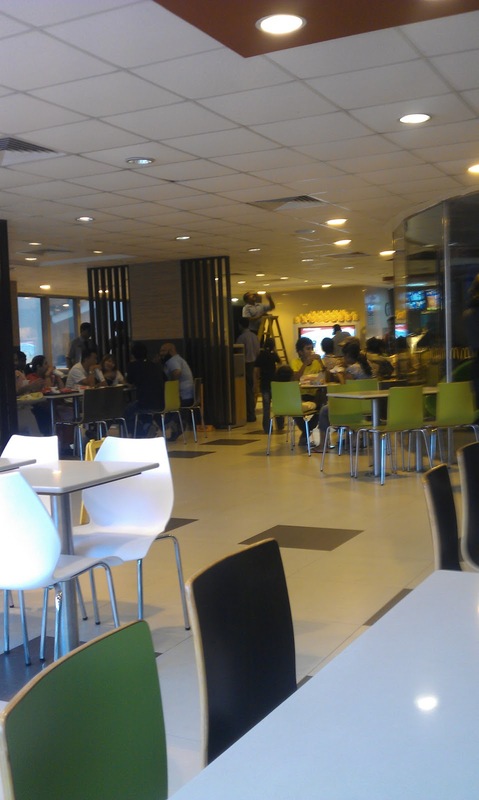 I read online that Sir Lanka only has one McDonald’s outlet, and I knew I was only going to be in Colombo for 2 nights before travelling to other parts of the island so I had to make sure I visited it before leaving as I wouldn’t be returning before flying out next week. Driving into downtown on my first morning, I noticed the branch on Galle Road, so I made a note on the Google Maps application, so I would be able to walk to it later on. I visited the restaurant at 17:00 that evening, as the 3.5 hour time change between Korea and Sri Lanka meant that I was hungry earlier than usual. I was actually pretty interested to find that it was VERY busy for being so early in the evening. It was mostly upper middle class families with children. It had a small play-place, and it was full with about 15 unattended children. Though it was so small and busy, they had about 5 people ready to take your order, so there was no queue or wait to be served. McDonald's Sri Lanka does not have a website like many other countries, so I was not sure if there was anything special on the menu prior to arriving. The menu had large photos, and was written only in English, so my first look over I didn’t see anything unique (they had a Veggie burger with cheese, but I suspected it was the same one I had in India), but on the far right, away from the regular combo menu items, they had a photo of the Chicken McRice and under it said, also available with Fish or Vegetables. I went with the Fish McRice and the Veggie Burger with Cheese combo. I could tell why this was upper-middle class families, as a combo was 440LKR, so about 4USD, which was nearly 3-4 times the price of a comparable meal elsewhere. The rice was not available in a set, I had a similar rice dish at lunch and it was 140LKR, so at 230LKR it was more, but not significantly more than outside food. 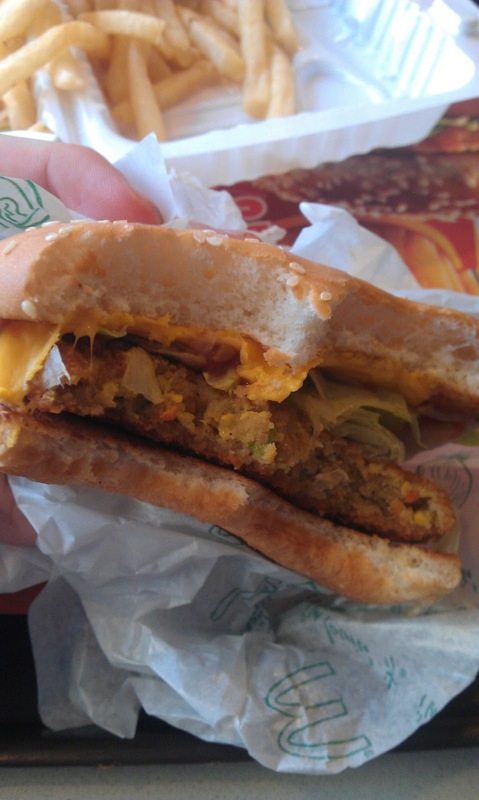 The Veggie Burger was slightly different than the one I had in India, and had a slightly more dense filling and a harder, crispier batter. The cheese was typical McDonald’s processed slice cheese, but I found it overpowered the nearly tasteless Veggie patty. 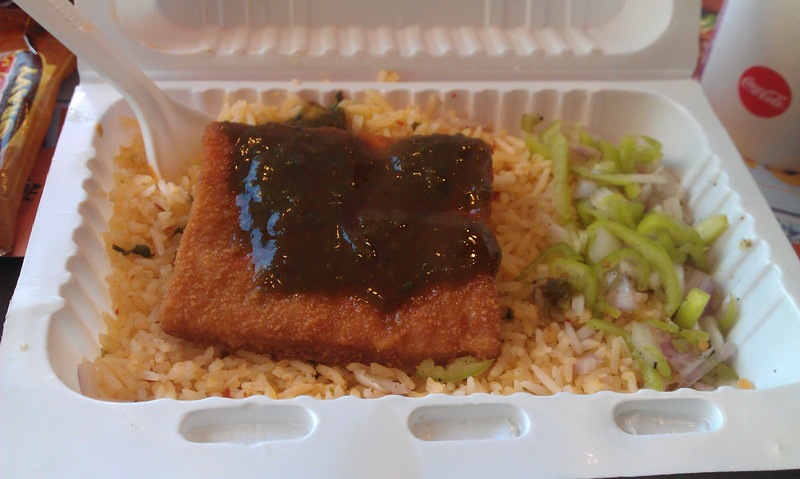 The real treat was the Fish McRice. 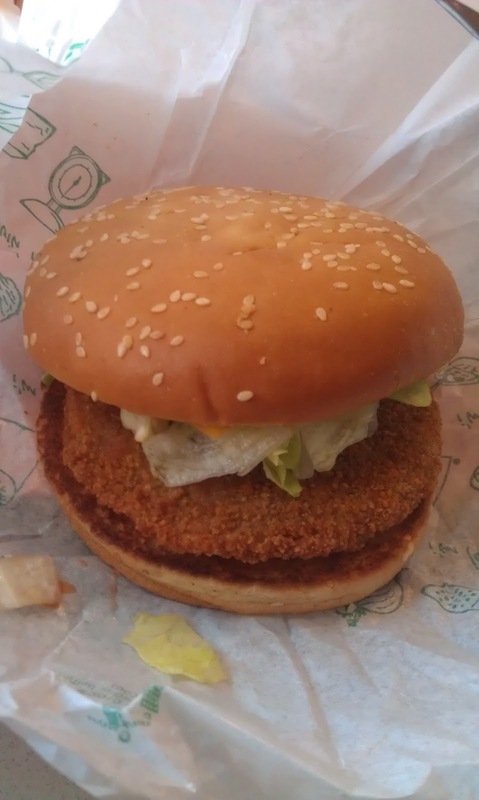 It was Sri Lankan spiced rice, with onion and other herbs, and it came with albeit, a rather small piece of fish, it wasn’t like the minced Filet-o-fish patty, it was a real fish fillet. 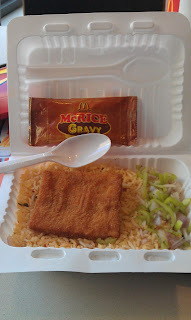 It came with a packet of McRice Gravy, which I don’t actually know what it was, but it had a very nice ginger flavour to it. 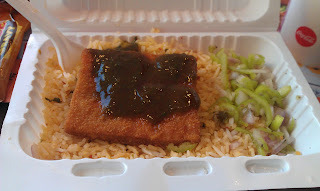 Unfortunately, the packet itself was covered in gravy on my tray (I guess one of the others exploded in the package), and it made it nearly impossible to open, and covered my hands,tray and receipt in oily sauce which was nearly impossible to get off. Oh how you suffer to share these great bits with us. During my family visit to Sri Lanka back in 2014 , took same of the kids for breakfast and they had a good time McDonlds.